While the tech world is waiting for the announcement of the rumored Apple Tablet device, we decided to feature 12 cool iTablet concept designs. Enjoy! 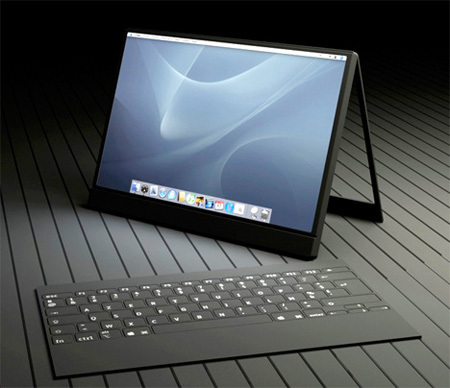 Apple Mac Tablet concept by Japanese photographer Isamu Sanada. 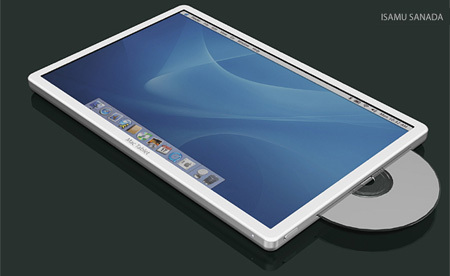 Cool mock up of the much rumored Apple Tablet by Sean Mulvihill. Designed by Tommaso Gecchelin, the core of this concept is a technology called iSpine. Like the spine of a book, the tech allows the device to go from a normal laptop with screen and touchscreen board to large widescreen canvas for drawing, presentation or movie watching. Apple iPad Touch concept designed by Chris Messina promises to offer slick, streamlined experience that feels less like a computer and more like a lifestyle object. 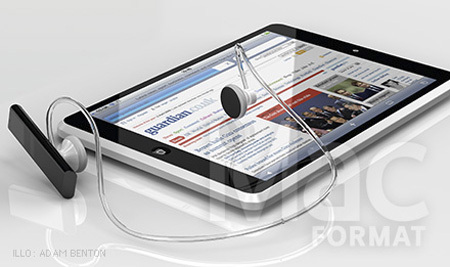 Beautiful Apple Tablet concept rendering by Fotoboer.nl. Video of the much rumored Apple Tablet by MacRumors forum member GoneWithTheWind. Another beautiful Apple iTablet concept design by Isamu Sanada. 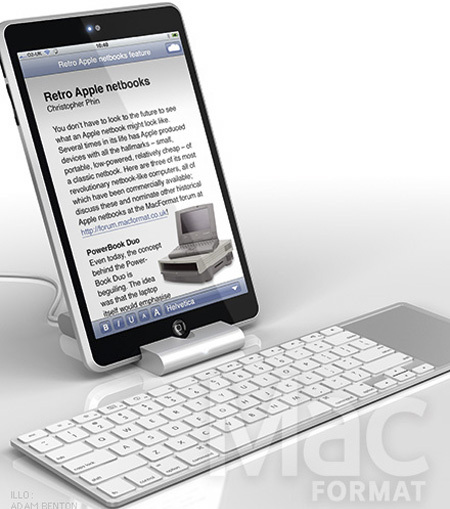 Apple Tablet concept designed by Adam Benton for MacFormat. Clever Apple Tablet concept by Vern Hart looks like a giant iPhone. The incredibly thin wireless keyboard is used as a protection cover for transportation. On the back of the computer, a hinge allows it to be put in a vertical position so you can use Mactab comfortably on your desk. 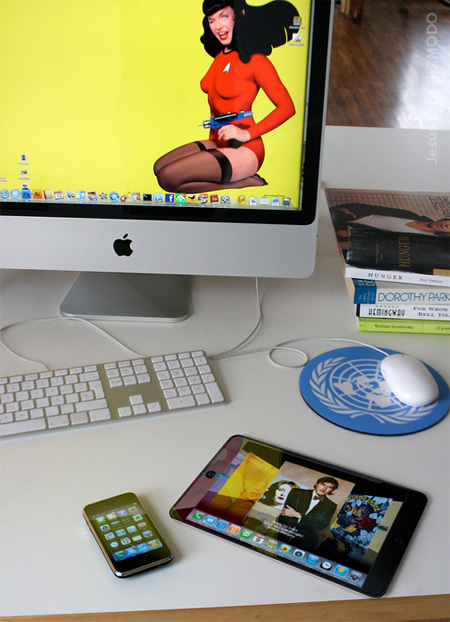 Beautiful Apple iTablet concept design by Jesus Diaz from Gizmodo. I want one. Defenately getting one if something like that comes out. Just a design of it makes me want one. I really like the fotoboer.nl one! 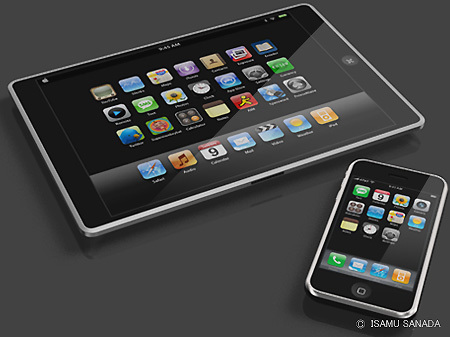 I’m just afraid that if Apple introduces a Tablet, it will be too expensive :/ I’d never pay more than € 500 får a tablet. At work we have new ThinkPad tablets and they are cool, but buggy as hell. I was just now thinking, if Apple really comes out with one of these and fixes the annoyances of this thing, it will be wonderful. If you think about it that is what they did with the iPod. They sat in the back for a while and saw what people liked and didn’t like about Roxio, etc. and then built a better product. 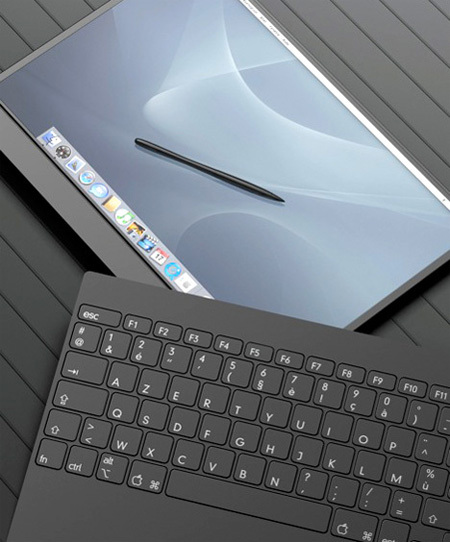 The Mactab (tablet protected by keyboard) design is really a cool & functional idea. Yeah they look super cool but I will stick with my HP Touchsmart Tablet Laptop. It is awesome works wonderfully as a normal laptop but also with a pressure sensitive pen and also manual touch which makes it incredibly versatile and useful for me a graphic designer. It is great to bring to a meeting with a client, and it is way more powerful that my desktop and my other laptop combined. I don’t know what the “i” people are up to but this stuff is way out of the box and they had better be able to keep up or hire anew! ha ha! 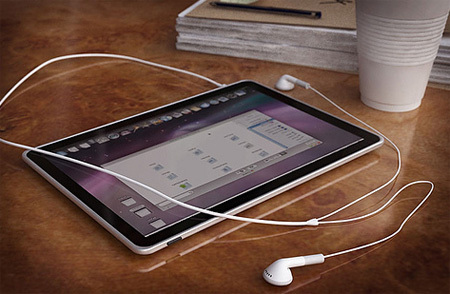 eehm… i think i’m missing the point.. arent that just renders of a square with an apple screen photoshopped on it? or is there more to it?? oh the teasing is just unbearable! The one that folds in the middle would be awesome. It could be like a laptop as well as an iPhone type deal and you could probably use it as a canvas too, maybe a remote for your home….everything….aaaaawesome!!! This apple tablet will be the second baby step (iPhone/iPod Touch were first step) towards integrated multi-touch technologies. Check out Jeff Han at Perceptive Pixels on youtube – pretty amazing what will be cheap and available to consumers in just a few more years. I’m excited! looking forward got the tablet ! 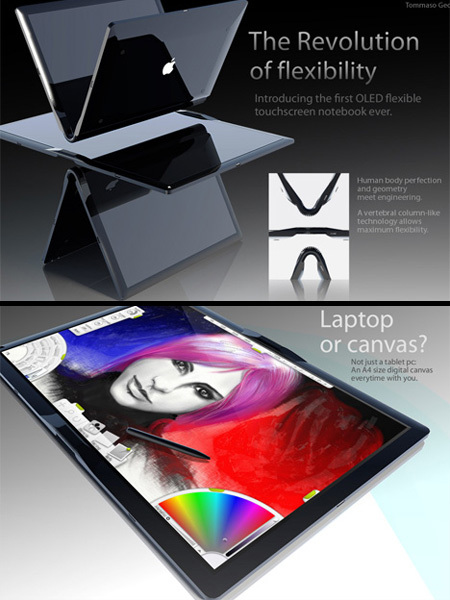 Once the tablet is actually launched it will be within this decade that it replaces the conventional notebook. The canvas concept is AMAZING! I’d definitely give it some use! 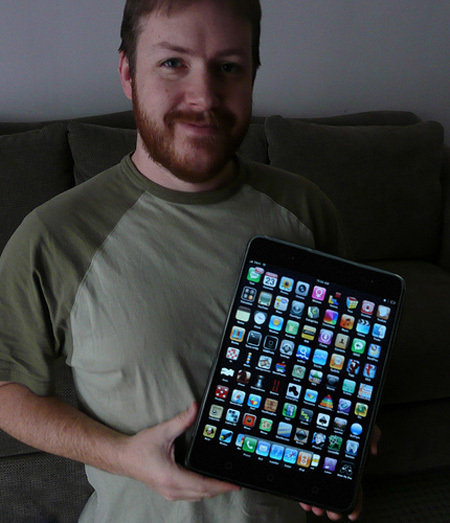 HAhahahaha its called an iPad! LOL its real now. how cool is that? 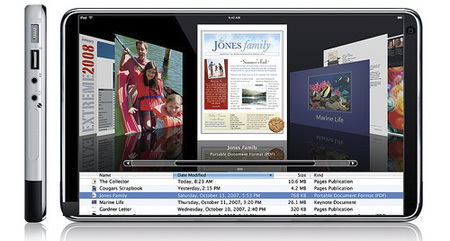 So funny that just a few years ago the iPad was only something like this.